Does your child love gadgets and technology? Have a budding inventor or scientist on your hands? A visit to one of these fantastic technology or science museums, which can inspire great scientific and scholastic achievement in even the non-motivated student. 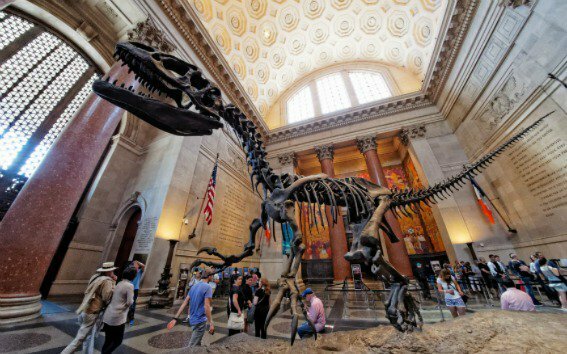 We poured through 1,150 reviews on our site and put together this handy guide to the top science & technology museums across the country, as voted by your trusted and experienced Trekaroo users. Get your inner Einstein on! With both an indoor museum and a sprawling 100-acre outdoor grounds with interactive water play, Montshire Museum is the perfect place to mix science and outdoor enthusiasm. The outdoor Science Park uses nature as a “living laboratory” ripe for experiments. The Planet Walk takes visitors on a 2-mile scale model journey from the Sun to Pluto (which happens to be a dwarf planet now!). Indoors, explore the over 120 hand-on exhibits to discover the wonders of technology, astronomy, light, and the physical sciences. You can even view the vastness of space with images from the Hubble Space Telescope. Montshire Museum may sound familiar to loyal Trekaroo users; it was just named part of the Top 10 Vermont. Although not massive in size, McWane Science Center has an all-5 star rating here on Trekaroo. Families rave that the museum offers plenty of hands-on activities for kids of every age, from tiny tikes all the way to talkative teens. The center boasts an aquarium (with a shark and ray touch tank), plenty of dinosaurs, and four levels of interactive science fun. The Center’s overnight activities are a hit; check the calendar for details. 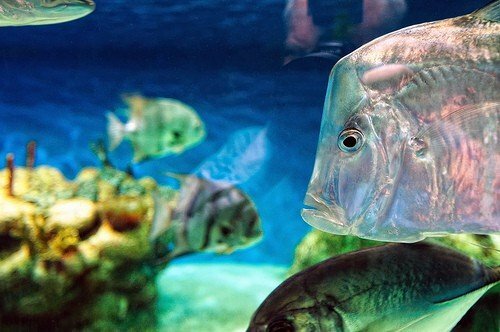 Located in the beautiful Golden Gate Park in San Francisco, our #8 museum, the California Academy of Sciences, offers a ton of science for the whole family. 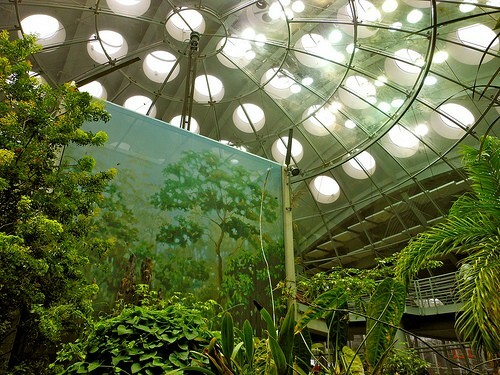 A dome enclosed 4-story rainforest (the largest in the world!) 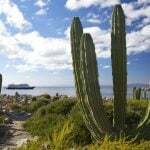 seems to be the highlight for many, while a digital planetarium, aquarium and natural history museum within the museum round off the experience. The building itself is of note: the structure is one of the greenest museums on the planet boasting a 2 ½ acre living roof, solar canopy, water reclamation system and unique insulation made of recycled blue jeans. Go green and save $3 on admission when you bike, walk or take public transportation! The Pacific Science Center’s 50 plus years of discovery makes it the original Science & Tech museum in the US. 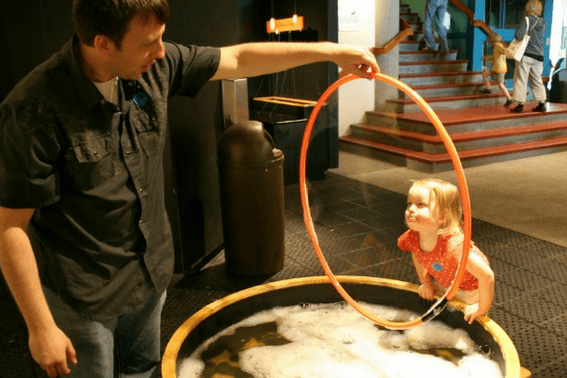 In addition to an ever-changing array of exhibits, the museum also offers tons of permanent interactive experiments on energy, health, insects, animals, and local Puget Sound scientific research. Take in an Imax show on “Transformers,” be wowed with the brilliant laser imagery performed live with color and effects in the Laser Dome, or sign up for summer science camps. The dream child of a group of science lovers from the year 1797, the Maryland Science Center is full of both past, present, and future exhibits. “Dinosaur Mysteries” displays 13-full-sized dinos and proudly calls itself a hands-on area. Be a paleontologist and enter a working field lab to touch dinosaur eggs, pick up real fossils, and walk in dinosaur footprints! In Newton’s Alley, visitors learn through hands-on experiments in mechanics, magnetism, light, and sound. 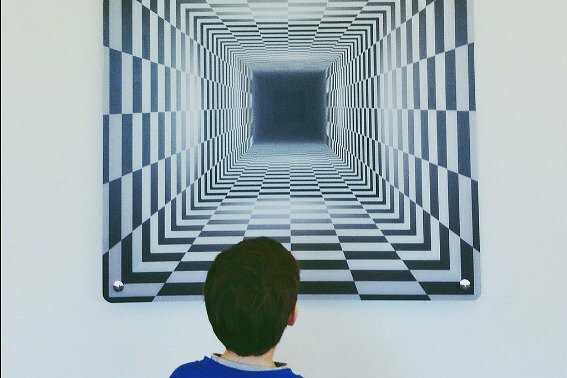 In the Kids Room, find over 50 interactive activities designed just for kids under 8. Sign up for a summer science camp or a special event such as Bubble Days or cooking classes! Live and explosive science shows, hands-on workshops, and a slew of activities places COSI on our list (Parents Magazine’s #1 slot!) 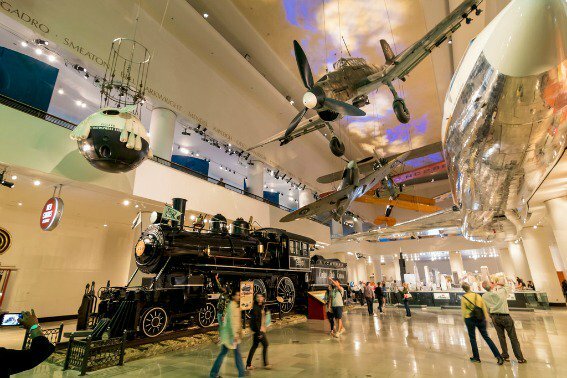 The museum has something for everyone with permanent exhibits that allow you to take apart and reassemble gadgets, simulate space capsule lands, and test out the change in technology from 1898 to present. The museum is the only Science & Tech museum to host a working TV studio giving budding media kids the chance to direct their own show, use green screens, and more! On a budget? Visit on Friday Family Night. 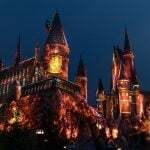 Admission is $11 for ages 2 and up on the last Friday of the month, 5:00pm to 9:00pm. The #4 museum, OMSI, is situated on the Willamette River in Portland, and is loved by Trekaroo users. 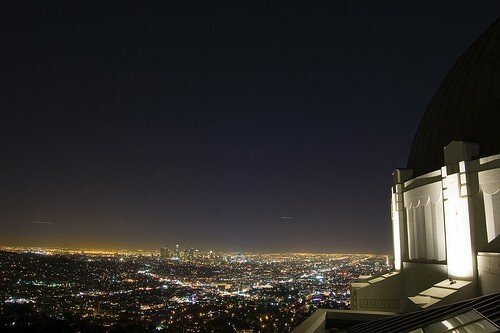 Five exhibition halls, eight science labs, a planetarium, OMNIMAX giant theater, AND the USS Blueback submarine make this west coaster a great hit for the entire family. Although it costs a bit on top of your general ticket, don’t miss the submarine tour: climb in the quarters, touch a torpedo, and imagine life under the sea. Down Periscope! Chicagoland’s Museum of Science and Industry, the largest science center in the entire western hemisphere, is full of more than 35,000 artifacts including the U-505 Submarine, the only German U-boat captured during WWII. Popular exhibits include the Coal Mine, a working replica of one of Illinois’ many mines; ToyMaker 3000, an interactive, robot-powered toy factory; and Science Storm, where guests can control a 40-foot tornado! Live science experiences put your kids in the action giving them the chance to dissect a cow’s eye, diagnose and treat patients as a doctor, and develop and manufacture real products in the Fab Lab. Save on admission to MSI and many other Chicago attractions with Chicago CityPASS. Everyone on Trekaroo loves the Franklin Institute! The museum’s giant heart exhibit, renovated in 2004, 50 years after its installment, features a crawl through heart and arteries, massive EKG machine, simulated open-heart surgery and more. An interactive Space Command exhibit teaches space exploration history and gives visitors the perspective of an astronaut at the space station. Older visitors can ride the sky bike, pedaling a weighted bicycle across a tiny wire hung 28’ feet in the air—talk about trusting the laws of gravity and physics! Solve a series of clues, codes, and puzzles in the all-new Escape Rooms, and try to get out in 60 minutes or less! 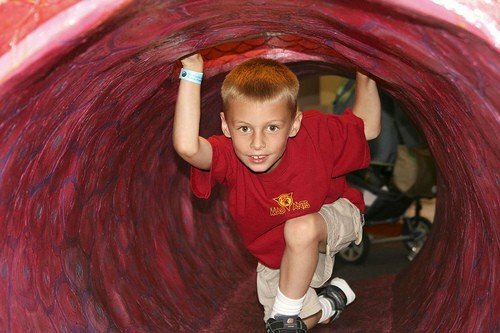 In this converted pier with a long history of being known as the original hands-on science exploratory center, the magic of science blends with the fun of discovery and interaction. It’s the BEST SCIENCE MUSEUM according to our readers! 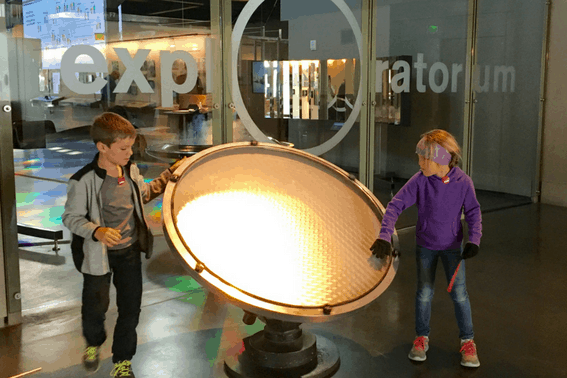 As one of our experts, mcfam states, “On a recent visit with my kids, there was a moment in the afternoon when I especially felt the magic of the Exploratorium. My husband and teen boys were building a metal bridge between two powerful magnets. 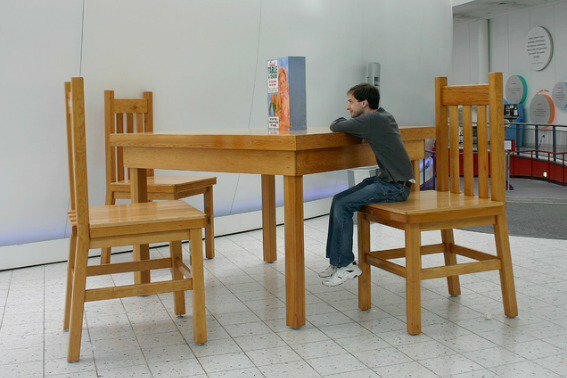 I had just stepped away from being completely absorbed by a wooden binary counting machine that demonstrated how computers worked simply by my dropping marbles into slots. I gazed around the large room and saw adults working with fully machines, kids building marble tracks, and teens leaving a class but wanting to stop to tinker with another display before they left. Everywhere I looked, people were engaging with science and learning as the did through their own experience and tests on well designed experiments. Families could spend an entire day at the Exploratorium (10am-5pm) but I’ve known since I was a kid that I could spend days here to see everything! The top Technology museum on Trekaroo is The Tech, where their mission is to inspire the innovator in everyone. Appropriately located in the technology drenched Silicon Valley, the museum offers tons of hands on exhibits in almost every area of current technology. Made famous on the big screen by the film The Night at the Museum, the American Museum of Natural History is amazing! Trekaroo families note that seeing everything in the museum could take days! 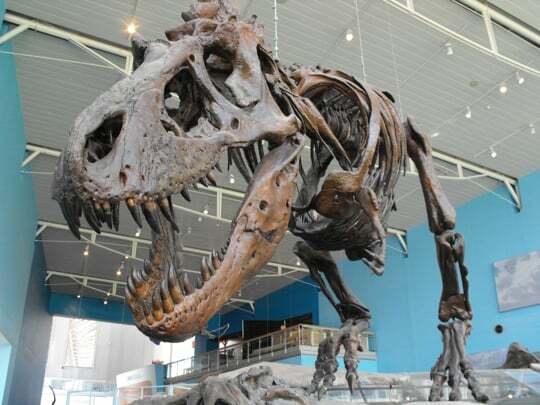 From the iconic T-Rex skeleton and fossil friends to the hall of human origins and the detailed dioramas, this museum has it all. Great list! We are thrilled to see the Montshire Museum from our home state make it on here. It is a wonderful resource for families in Vermont. 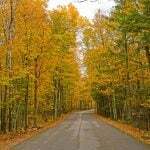 MissMagpie, I would LOVE to visit some day!! Note that at the Pacific Science Center, the Wellbody exhibit hasn’t yet been built and will launch in December 2012. Though the “Portal to Current Research” exhibit changes out every 4-6 months and features current research from NW scientists, including things like “Investigating Arctic Ice Melt”, “Chemists- Catalysts for Change” and “Life in Extreme Environments”. Wow! So many awesome science museums. 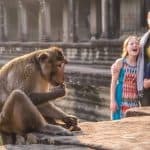 I’ve just bookmarked all the ones I haven’t been to yet. Hitting the Museum of Science today for the first time in years…with just my son for some Mom/boy quality time! In Cartersville,Ga there is a great science museum. 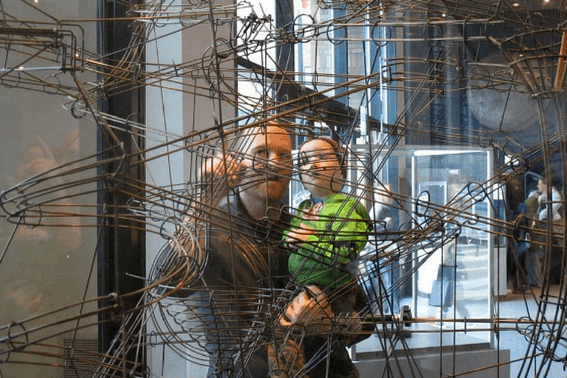 The Tellus Science Museum is great for a family trip. I do think some of the ones listed do deserve to be on this list though. 😀 It’s just so difficult sometimes to pick favorites. @athenebelle, sounds like St. Louis has a fabulous museum!! 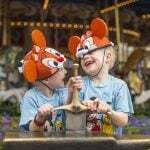 We didn’t include them in our roundup as our research was based primarily on Trekaroo reviews. The St. Louis Science Museum has 4/5 stars on Trekaroo, which is awesome, but everything on this list has 4 1/2-5 stars. 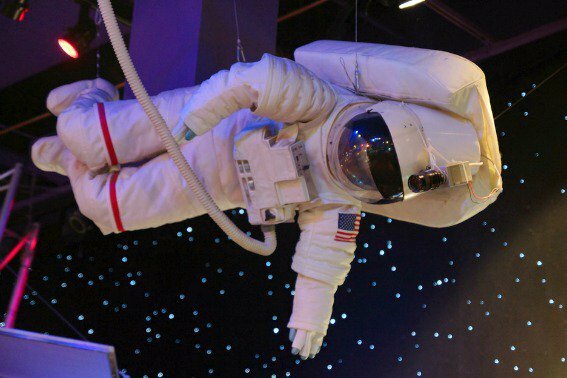 Great post Katie, you choose the best 10 Science and Technology Museums. in my opinion American Museum of Natural History is the best one of all. the museum complex comprises 27 interconnected buildings housing 45 permanent exhibition halls, in addition to a planetarium and a library. The museum collections contain over 32 million specimens of plants, humans, animals, fossils, minerals, rocks, meteorites, and human cultural artifacts, of which only a small fraction can be displayed at any given time. Thank you for this value article. Thanks so much for following, Remon. We do love the American Museum of Natural History as well. 🙂 Happy Trekarooing!